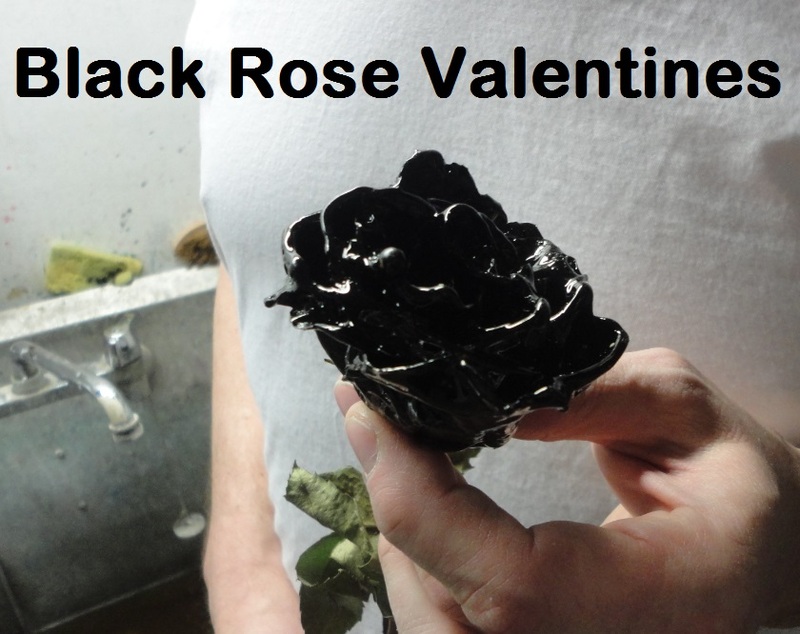 I know exactly how Matthew Robert White makes the Black Roses he sells in his Pop Up Retail Outlets on Roncesvalles High Park and in that rinky dink farmer’s market on Sorauren Ave at Wabash Ave in Toronto, because I showed him how to do it. 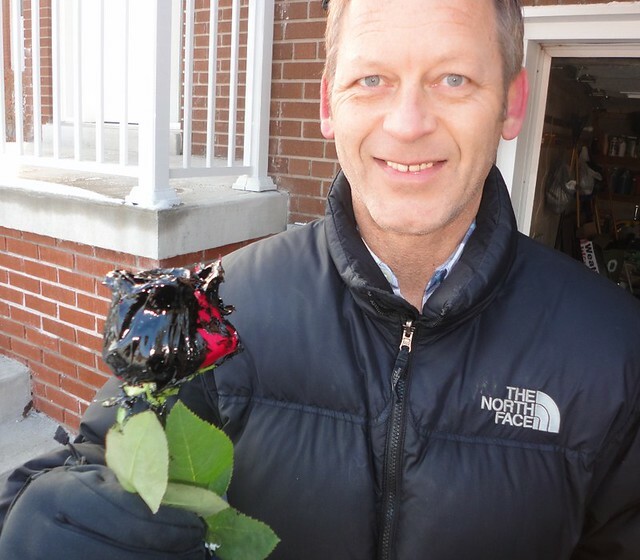 At the Sorauren Farmer’s Market, there is a local beekeeper selling a wax rose standing beside Matthew Robert White holding his bitumen covered black rose, which you cannot really see that clearly against his dark jacket, but i believe the picture expands if you click it. The wax rose is perfect crafty valentine and will be a hot item in Matt’s store. The secret to popup retail is hosting timely events that resonate with some distinct part of society at a particular time of the year. Valentines Day is a great opportunity for sell all different types of roses and chocolates and romantic gifts. 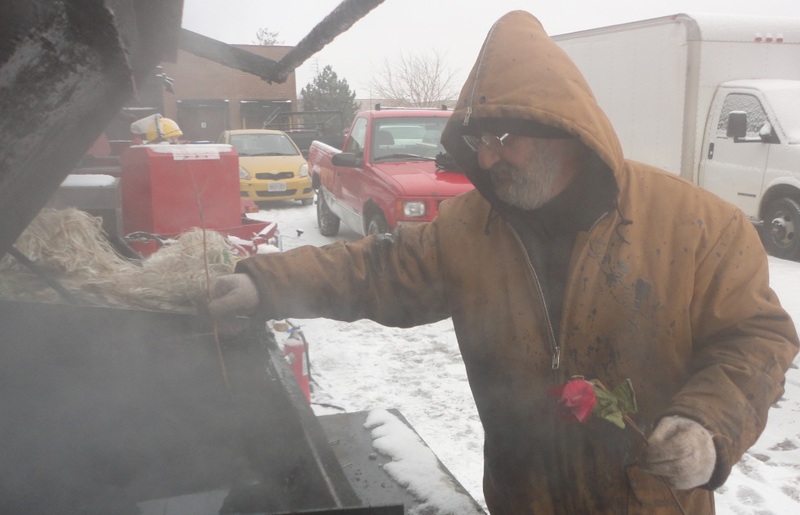 But this article is about people making different types of roses,including dried roses and even copper metal roses which are great variations on a theme that might not be as relevant to society another other day of the year. 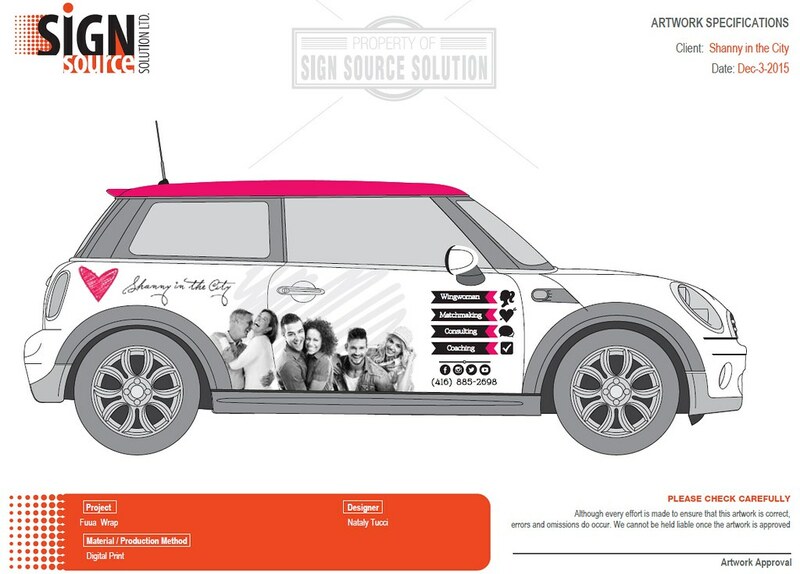 Popup retail is huge trend now as the events can double as internet attractions and travel coupon destinations. 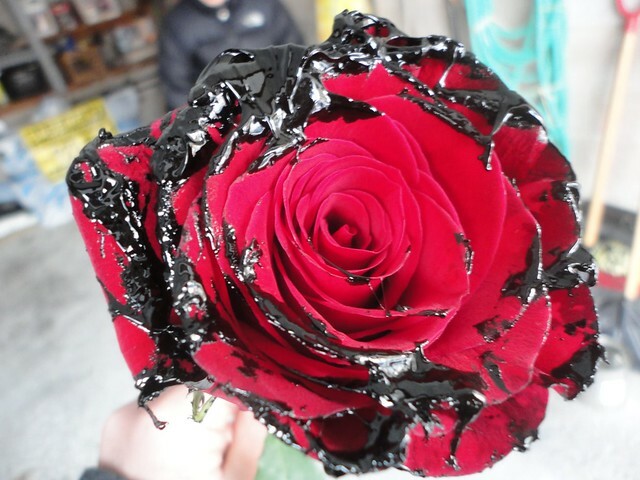 I wrote about how I made Black Roses for Valentines on Smart Canucks and this left this piece on D.I.Y bitumen covered roses on Medium last week by photographing and comprehensively documenting a visit to their their tarpots which are known in the industry as ‘tar boilers’, but which are in fact filled with 500 degree bitumen. 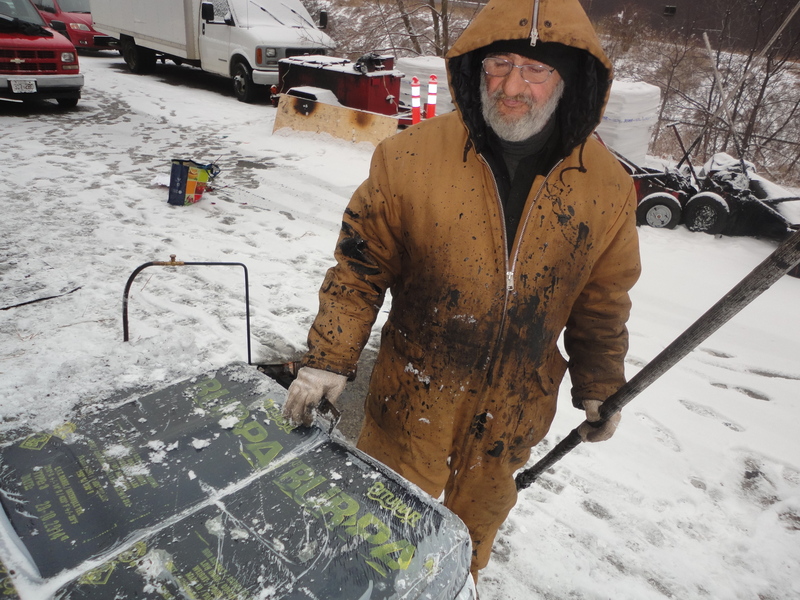 Dave the flat roofer at the ToughRoof flat roofing job site in Toronto gave me lots of good information and was very accommodating and even delved even deeper in the science of the operation on this post on Fuel Ghoul which is my chemical science theme Typepad blog. Roofing tar may contain coal tar but is mostly petroleum bitumen especially with Canada being blessed with the tar sands in Alberta. This material is certainly a by product of that refining process. Roofing tar is solid at room temperature. It gets delivered to the job as a black solid block that when heated to 500 degrees becomes an oily liquid used on flat roofs to fix leaks. It is made from coal tar and petroleum byproducts. Coal tar is a deep brown or black residue, which is made during coal production process. Coal tar must be refined and processed to meet standards for roofing use. ToughRoof seals, bonds or repair areas on the roof that damaged or are slowly deteriorating. Newer formulations of roofing tar are asbestos free, but may contain solvents, surface adherents, plastics and mineral fillers/fibers. Coal tar roof cement is applied by trowel, while other types of roofing tars are applied like paint or caulk. Most roofing tar formulas are black in color, but some manufacturers have also created versions in lighter colors like silver and white. Some brands of roofing tar can be painted when dry to match the roof’s original color scheme. Roofing tar can be removed by using a tar remover, but removers may cause damage to certain roofing surfaces. 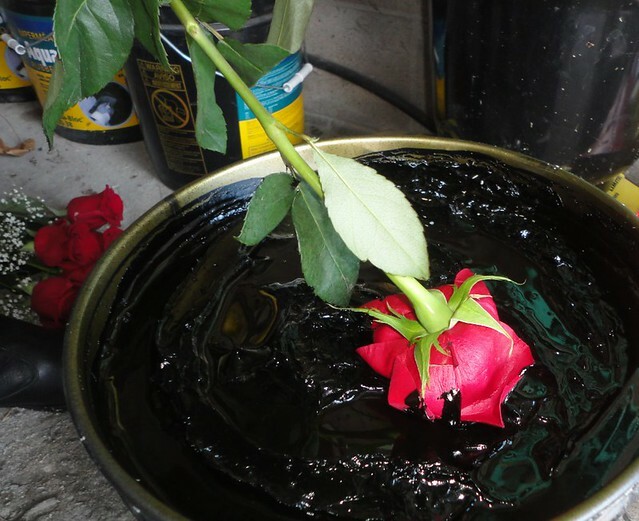 Bill Korenowsky of Royal Waterproofing is a basement waterproofing contractor in Toronto who also made up some custom treated roses for Valentines Day, but its probably not something Matthew would deign to sell in his fashionable pop-up stores. 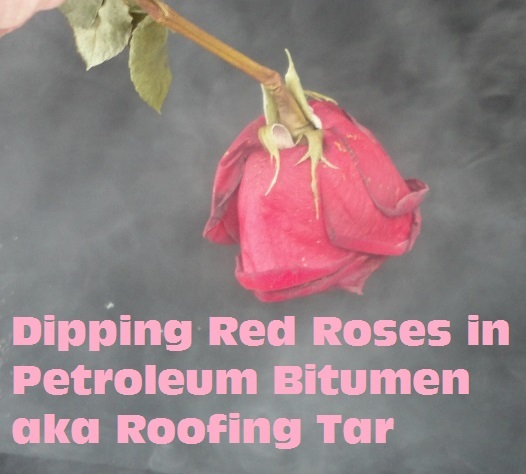 Bill dipped roses in Bakor Aqua-Bloc® 770-06 which is a one component elastomeric waterproofing compound designed to replace conventional hot mop felt ply and/or pre-formed sheeting systems. It is applied in a single application, which cures through solvent evaporation to provide a heavy-duty, seamless, rubber-like impervious membrane. 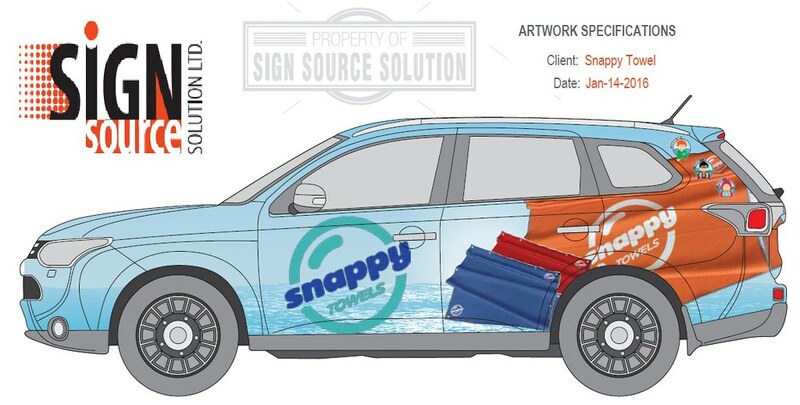 This is a liquid applied waterproof product that is good for year round use. Dipping red roses in waterproofing compound with Bill Korenowski of Royal Waterproofing in Toronto. Excellent for use on concrete, masonry foundation walls, parking decks, planters and reflective pools its not that great for flowers. Contractors use with Yellow Jacket reinforcing fabric to treat cracks and joints but the mixture is too stiff to penetrate the plant’s crevices. Heavy bodied trowel grade coating this stuff probably does a wonderful job on cement to provide seamless rubberized asphalt membrane, but it’s terrible for roses. In the language of flowers, black roses signify death, or supreme hatred, but a perfectly preserved red rose could symbolize a perpetual romance, and a supernaturally strong enduring love that defies nature. Waterproofed roses might be considered kitschy or artificial but such a product would satisfy a gift givers desire for originality and quality messaging. The idea of preserving the flower’s beauty in a transparent or beautifully coloured body cast is universally appealing to retailers and romantics. Superman is the best known fictional hero with “x-ray vision”. This skill lets him see what’s behind brick walls, and in the trunks of cars and transport trailer trucks, so he doesn’t have to break down doors and disrupt other people’s lives everywhere he goes on his missions to save planet Earth and humans in distress. 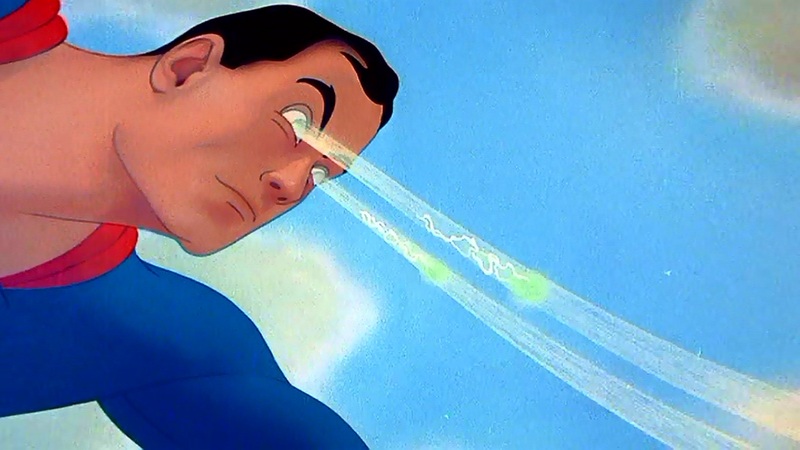 But there are other types of enhanced vision abilities that other superheroes have… For example have you ever heard of Chemo Vision? That’s the ability to see pheromone output. Gamma Vision is the ability to see gamma radiation. Emotion Vision is the ability to read auras, and is actually a common skill among psychics, mystics and seers. This vision upgrade lets folks see the emotional well being of others. Energy Vision is the ability to see hidden and or unused power sources. .. and so on. 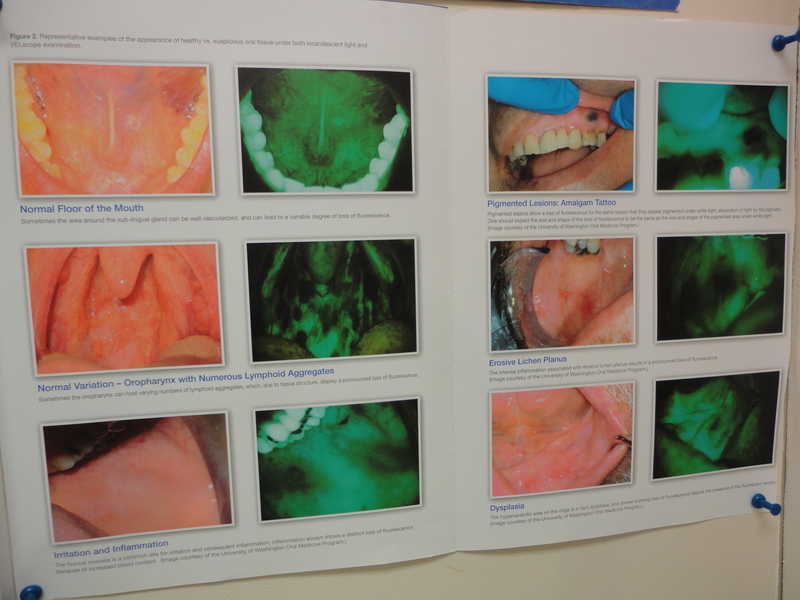 Barrie dentist has cameras that let her see cavities and cancer. 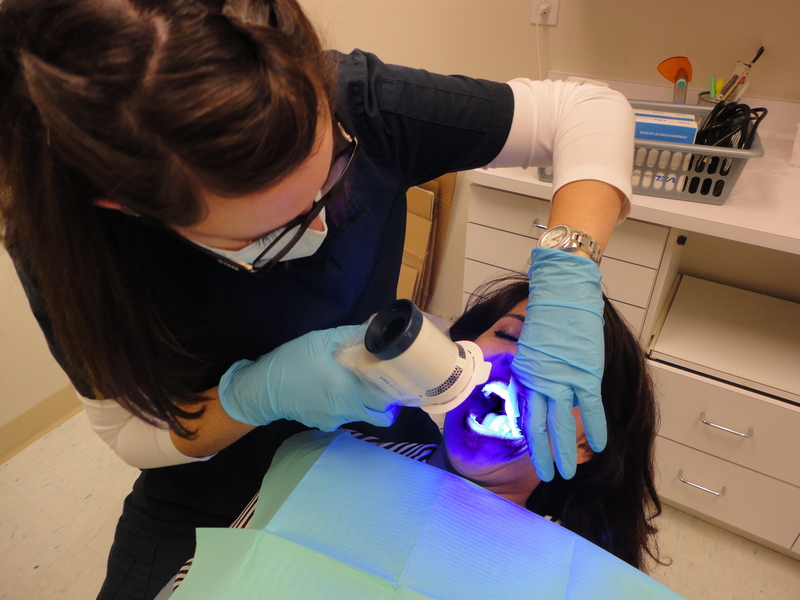 Inspired by superheroes, Barrie dentist at Big Bay Point Dentistry has purchased some very advanced scientific gadgets that give her super powers – she has enhanced optical equipment which allows her to look close at her patient’s teeth and go on a hunt for cavities and cancerous lesions. A mouth ulcer is the loss or erosion of part of the delicate tissue that lines the inside of the mouth (mucous membrane). Some causes can include certain prescription drugs, and infectious diseases such as herpes or thrush. In most cases, mouth ulcers are harmless and resolve by themselves in a few days without the need for medical treatment. Aphthous ulcers are recurring ulcers found in mouth tissue with no known cause that affect one in five people on Earth. The CS 1500 Intraoral Camera generates remarkably sharp images and has a great depth of field. The CS 1500 Camera is an all-in-one solution for dental digital photography stills and videos. From full arch to macro views, the camera delivers consistently clear, high-resolution images that can be easily shared with patients. The mechanism makes crisp visuals that help dentists explain treatment options because they can actually show the problems and perfectly describe the solutions. This particular camera’s advanced sensor and lens can easily view even the smallest cracks, caries and lesions. Dentist uses Velscope to look for cancer. 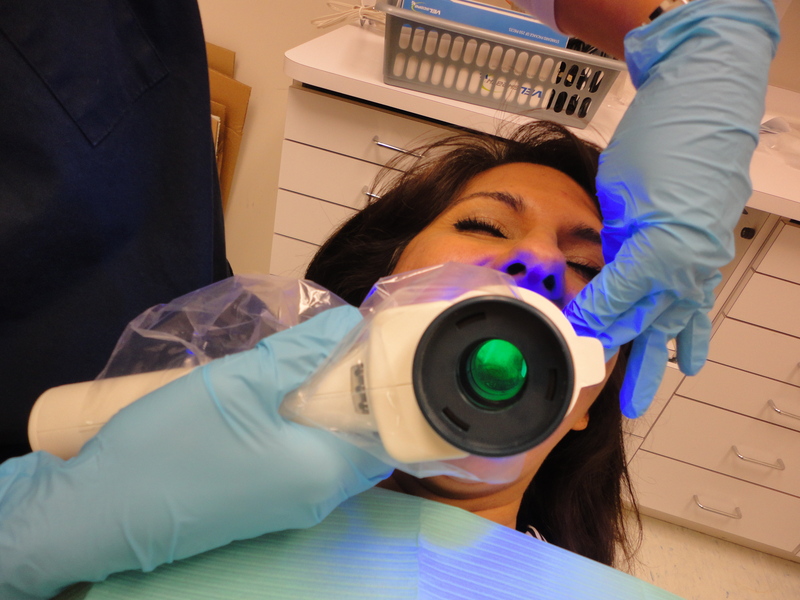 The Velscope was recently developed by LED Dental and is marketed today an oral cancer-screening device. It does not diagnose cancer, but is an adjunct to the oral examination. That’s why its called an adjunctive device, It is, by all accounts, a fantastic non-invasive screening device. 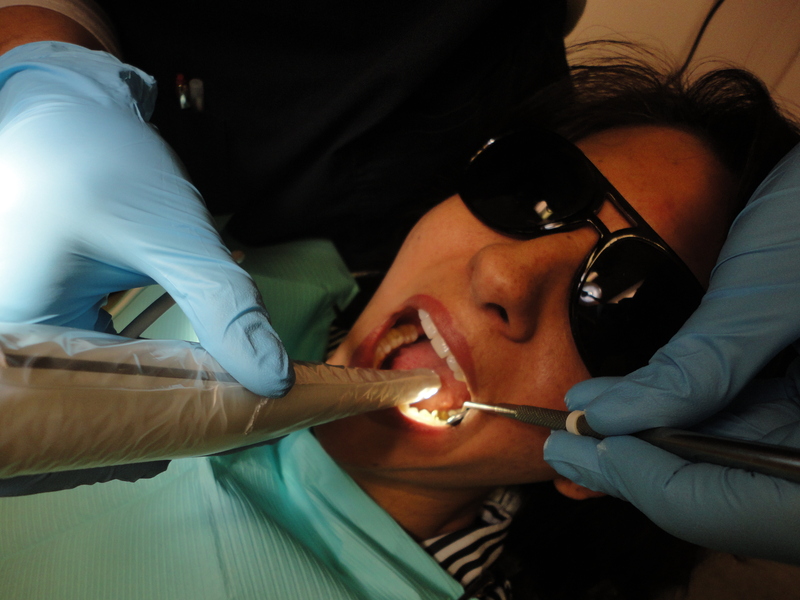 Holding onto the pistol grip like a magnifying glass, the dentist shines a safe blue light into the patient’s mouth. Today this device is cordless and lightweight, making it exceptionally portable, but earlier models were much heavier, bulkier, and much more expensive. When viewed through the VELscope’s patented filters, healthy tissue fluoresces green. 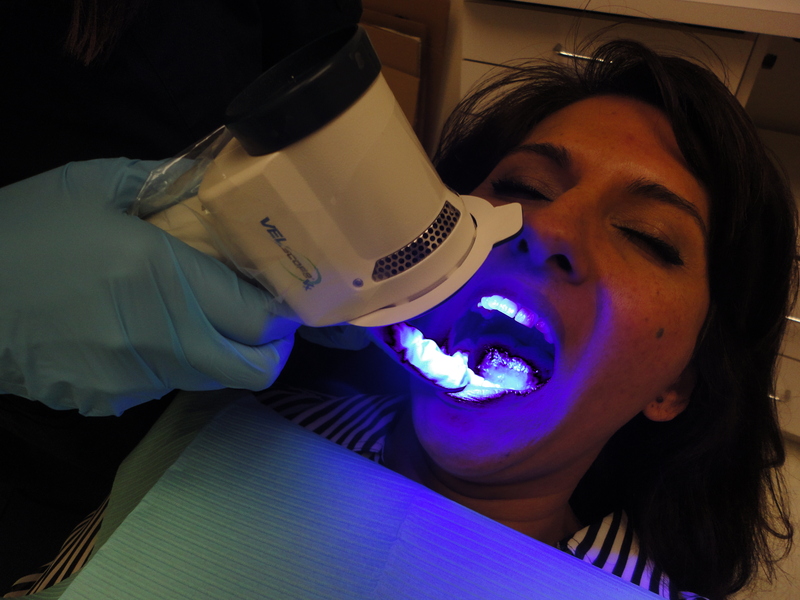 Suspicious tissue, oral abnormalities that may be oral cancer, has a different fluorescence signature, and will appear as dark, irregularly shaped patches. 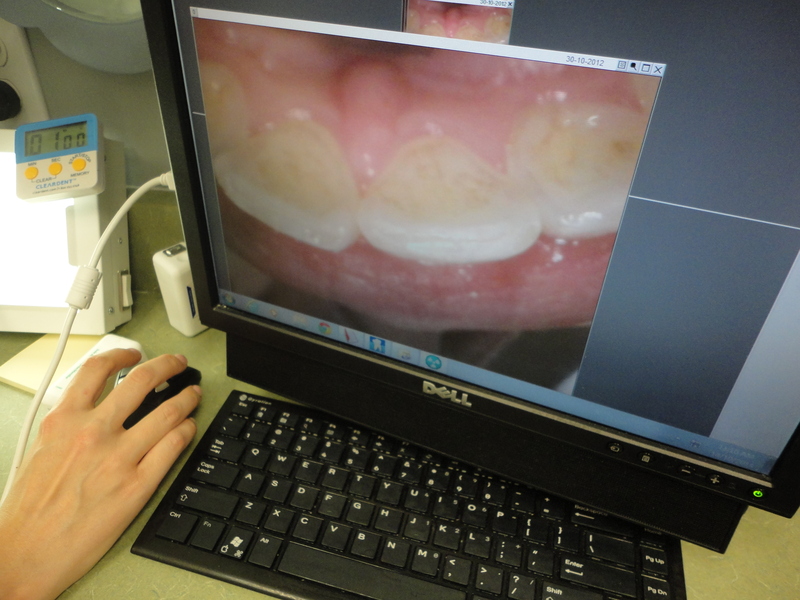 If a suspicious lesion is detected, the hygienist will normally have the dentist view it using the VELscope as well. In some cases, questioning the patient may reveal that he or she burned her mouth eating hot food. However if the lesion cannot be explained, the dentist will normally ask the patient to return for a follow-up screening in two or three weeks. If the condition has not improved, the dentist will usually perform a surgical biopsy or refer the patient to a specialist. The VELscope is a discovery device, not a diagnostic device. Only a surgical biopsy can provide an accurate diagnosis of a lesion. In some cases the diagnosis will be cancer, pre-cancer or dysplasia, but more often some other type of oral disease will be diagnosed. Examples include lichen planus and bacterial, viral and fungal infections. While these conditions are clearly much less serious than cancer, they are conditions that need to be discovered and treated. One person in North American dies every hour of every day from oral cancer related illness, and many of those who survive the disease are forced to deal with lengthy, painful treatment and permanent disfigurement. The main problem is that oral cancer is typically discovered in late stages, when the five-year survival rate is only around 30%. 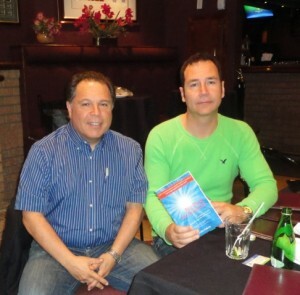 A really great Smojoe SEO Show was held at Chalkers Pub in Toronto on Tuesday the 17th June 2014 at 7pm as thirty people braved extreme thunderstorm alert, and severe weather to attend the inspirational web marketing event. They gathered in the dining area at the south end of the restaurant complex to soak up as much knowledge as possible for the $10 entry fee charged by Leeann Jenson the administrator of a popular Life After 40 Single Meetup Group. I joked that this evening was SEO for Singles with websites and that wasn’t far from the truth; the one complaint I got was that there wasn’t enough networking time! Without any interruptions, not waiting on weather or late arriving attendees, the Smojoe SEO Show was performed live by myself Rob Campbell starting at 715pm. The ‘show’ starts by me explaining what we have to do today to get page one presence, and why and how we do it. Then, after a tiny break, I go around looking at everyone’s websites and we all together set about figuring out how we can help these attendees and their struggle for subject matter relevance and higher rankings. 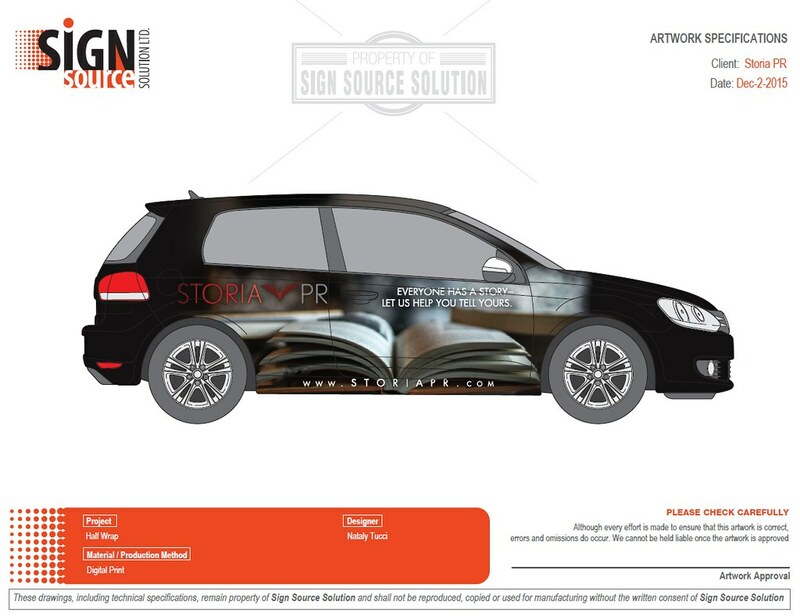 Its quite fascinating if I don’t say so myself… and its starting to get some big name business attention from Bay St consultants and business growth authors and business marketing gurus of all stripes. Who doesn’t want to be first on Google for something. Neville Pokroy brought his business growth book along to this show and he gave away six signed copies to people brave enough to share their site’s meta data, and suffer the scrutiny of the crowd on stage at the front of the room. 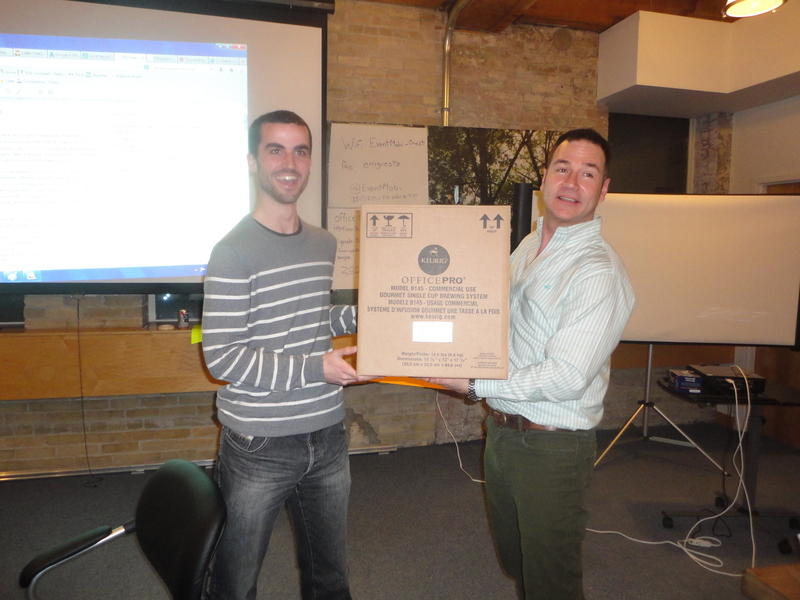 Inside this SEO workshop attendees find new ways to help each other. Everyone in the crowd becomes a little bit more SEO savvy and certainly more social media friendly as they quickly become aware of how to increase their reach and authority. Glenda MacDonald live blogged SMOJoe SEO MeetUp 17June2014; she did a terrific job communicating the entire ordeal, blow by blow, with original pictures, on her blog. The best part of the night was when people won prizes! Dr Archer, Toronto Dentist at Archer Dental donated twenty travel toothbrush kits and mini toothpaste tubes which I gave away to people who asked intelligent questions and did the social media exercises to benefit other attendees’ websites and blogs. Some of the sponsors attended the event in person and they brought products to give away to anyone who would help them get along, and link to them and say kind words so they can get more recognition by earning higher rankings on Google; just showing up with something in your hands to give away at the SMOJoe SEO show makes you more important in this life. 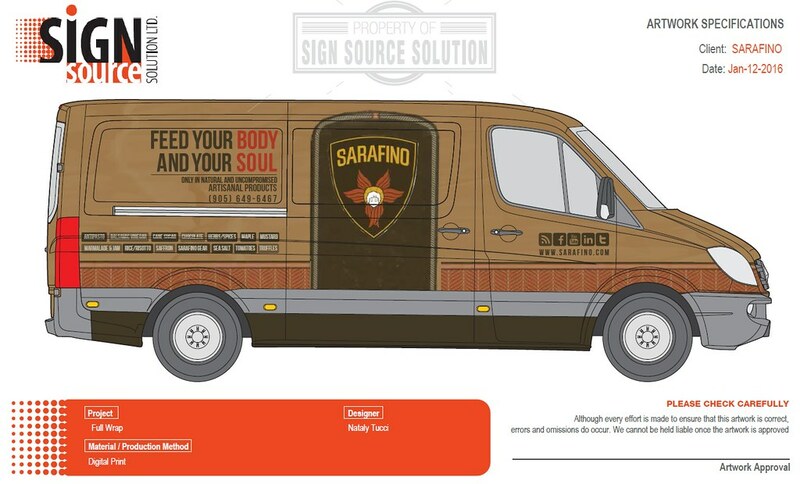 Here is Angelo Tramonti from Sarafino Olive Oil who offered up these exotic liquids as a grand prize for live bloggers – Glenda MacDonald won! Overall, I think everyone had a great time at this unique event, and Leeann has already asked when I’ll be available to do it again. This was a free Meet Up event and perfect for people who wanted to learn SEO rudiments so they could properly marvel at the most advanced new technology – it was fashioned for beginners and veterans alike, so both could come away with tips and new techniques for growth hacking to gain more users. Someone was going to win a coffee maker courtesy of Vigorate Digital ecommerce software which really is a growth hacking tool chest filled with custom digital marketing solutions, pin code loyalty programs, online auction software, and easy to install photo contests templates etc . Growth hackers want more users. 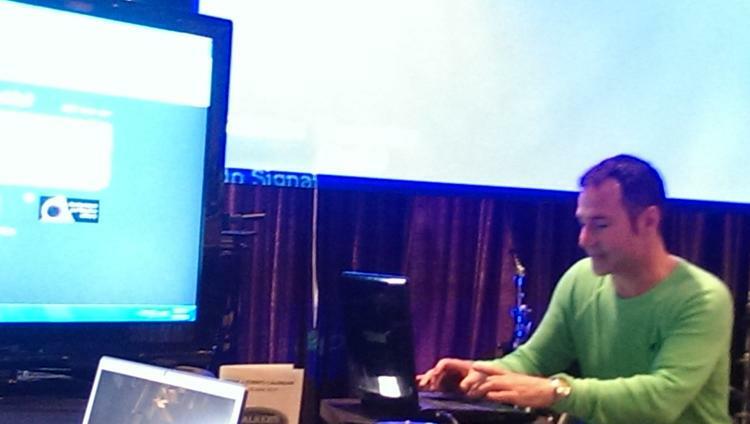 Cristian Contreras is the face of Growth Hacking in Toronto. A marketing practice with an absolute focus on growth – the discipline encourages marketers to use advanced methods, tools, and best practices to grow user base or data, content or customer reach. Growth hackers often use resources that weren’t available in the traditional marketing repertoire a few years ago, and very often they made these tools themselves. The quintessential growth hacker is the coder who writes script to collect content and customers from larger more unwieldy corporate websites – ie like how Airbnb fed on Craigslist. The second part of the show is a live diagnostic and content publishing festival whereby people in the room win prizes from an office coffee solutions company that is sponsoring the event. Don’t miss this unique educational evening – it will be like nothing you’ve seen before or likely to ever see again – stay tuned here for updates on how it evolves and what happens and why . Every participant who is willing to play along, tweet, blog and do Facebook updates right there in the room is eligible to win bags of free coffee, and somebody is going home with a brand new office coffeemaker. Follow #GrowthHackTO and Rob Campbell is @roberrific on Twitter. Last edited by Arob; Apr 16th, 2014 at 11:43 AM. People are talking on Twitter and adding voices to the discussion about Growth Hacking on Smart Canucks and we’re expecting some contributions to this beautiful post about GrowthHackTO on Free Ads Planet. Then after weeks of planning IT WAS SUDDENLY HAPPENING.. There are still quite a few seats left and even if you don’t reserve a spot or get ticket you should just come anyway because you’ll probably get in – some of the people registered have already said they cant come in the comments at the side of the Meet-Up page . .
UPDATE – The event was a big success. Jane Wang won the charity choice SEO spot in a heated race between eight contenders! She volunteered her domain and won the crowd’s sympathy. 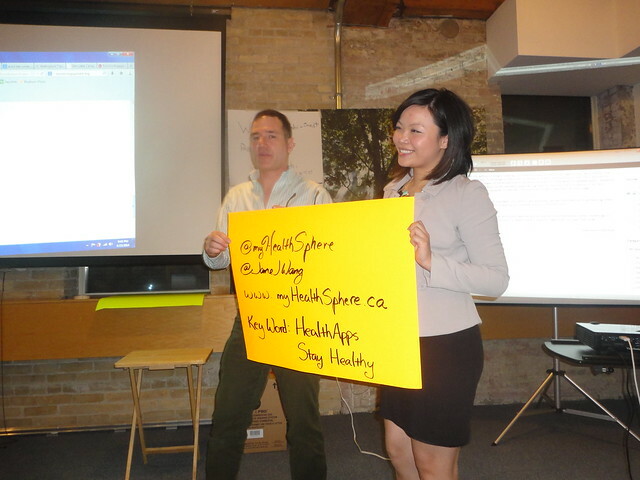 After Jane won, we all took a whack of pictures and then endeavoured to use them in our homemade media; at this point we all went to work optimizing her health apps domain and her intriguing game Health Challenger. Its cool. She’s helping people get healthy and that’s a great cause. Cristian was blogging at the front of the class in front of the audience, who were dropping off more and more every minute . aha ah well live blogging isn’t the most exciting thing to watch at ten pm. I dont take it personal. The audience dropped from fifty to less than twenty souls watching in the second half of the show – it was exciting for me. Maybe this should be a daytime event. A weekend workshop. The grand finale, the draw for the office coffee maker – the ticket was pulled from the popcorn ceramic bowl by Jane Wang. 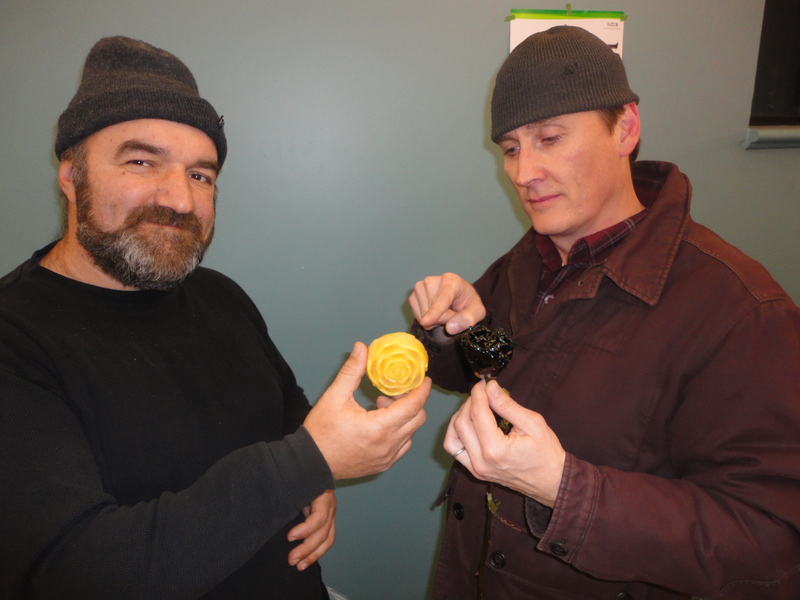 Smojoe – Rob Campbell holds the Bowl for Jane Wang who picks David Woogan, to win the coffee maker . . Choose a keyword that will have a valuable return for your website (or your client). Bookmark and interlink those with the original article. What he left out was the secret ingredients that I don’t tell anyone. Dan went on the record how I compared my modern day existence to a 14th century troubadour who goes from tavern to tavern and sings about heroes and highwaymen who pay him to make their exploits more well known , so they are feared , respected and paid tribute or presented with big opportunities. Its the same today online – the more famous and important you are in a particular category and have earned links in articles, blogs and forums etc, the more likely your URL will show up on pg1 in searches done by needy townspeople. 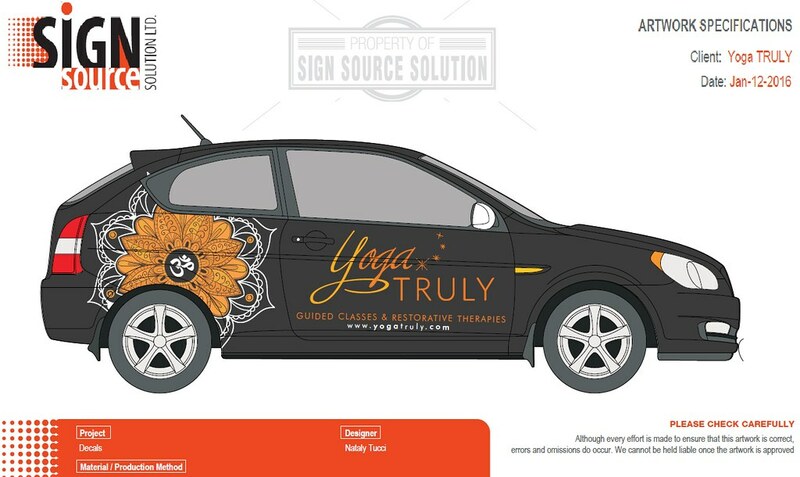 So a modern SEO practitioner is a digital troubadour. Its official. The FishHunter portable sonar fish finder which uses Bluetooth wireless technology to broadcast its own submarine survey straight to your smartphone is finally available for sale on the internet. Get one delivered for $229, plus tax and shipping, and that’s a bargain price considering a lot of smart people spent thousands of hours making this rig work… Read more about the science behind the sonar chips in FishHunter on Fuel Ghoul. Its a little known fact that fishermen don’t actually use fishfinders to find fish, they use sonar to study lake bottoms or riverbeds looking for suitable structure preferred by the species of fish they hope to catch. More advanced anglers select hard-to-hook game fish and go looking for the underwater terrain they know these creatures habituate. FishHunter comes complete with the industry’s best fishing app that has an onboard Fish Species Database which details the preferred living conditions of over 150 different types of fish alongside bait suggestions and tips for catching them. One thing I’m definitely going to pay more attention to is the Moon Cycles app that charts nine different phases of the moon, dates to show proper times for Solunar Fishing. This is a very interesting theory that’s almost 100 years old now and hasn’t been disproved yet – the logic states that when there’s a full moon you’ll catch more fish. I’ve always wanted to test that theory, and now this app makes it real easy. Next time I’m catching lots of fish I intend to check the moon phases and see if its a new moon or a full moon. Got Maps? FishHunter is an interactive Fishing Atlas. Users can harness GPS systems to pinpoint their catches on marine maps loaded with memory and social sharing features, as they log details for their own continuous improvement. Also be sure and check out the FishHunter photo contests for exclusive access to great prizes and emerging community events. 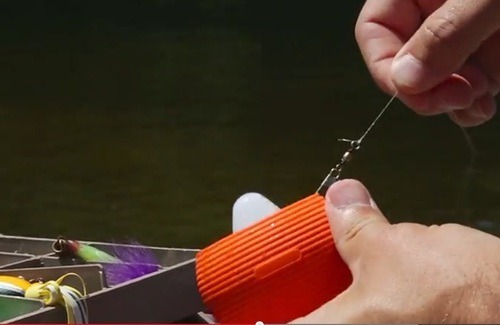 These portable sonar devices for smartphones will change the sport of fishing! The device was warmly received by the primarily American audience of hunters and anglers, and a great many units were sold here… but in general the media has been slow to cover this cool innovation. One story that introduces Fish Hunter sonar for smartphone is on Tumblr, and from a popular Son of a Beekeeper who uses some of the same pics as this post. 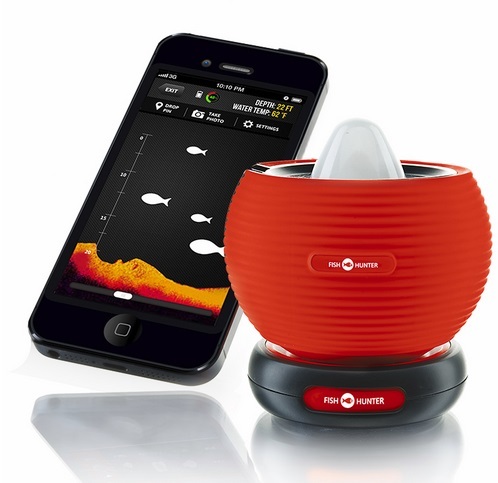 Also there’s a lovely article on Quazen about FishHunter sonar for smartphones, and how they’re sure to make fishing more of a spectator sport. That piece postulates that this portable sonar device will be the hottest toy at the cottage in 2014, and I wouldn’t doubt what its true. 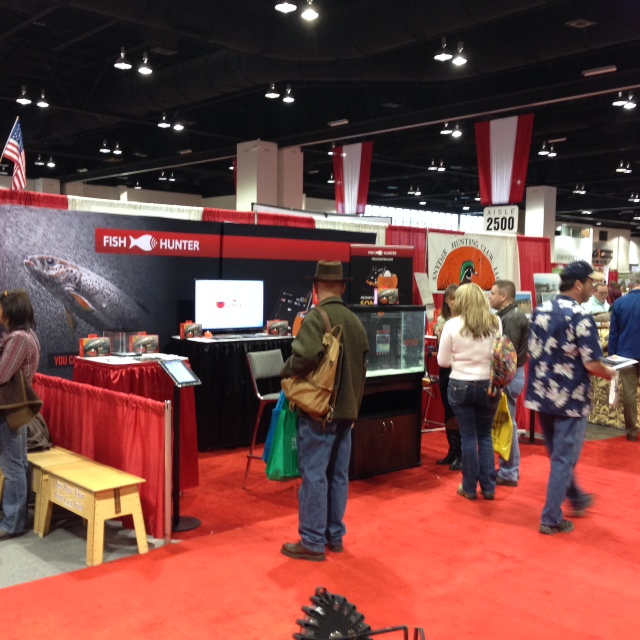 The set-up sure stopped a lot of people at this recent trade show. Do you live in Ontario? 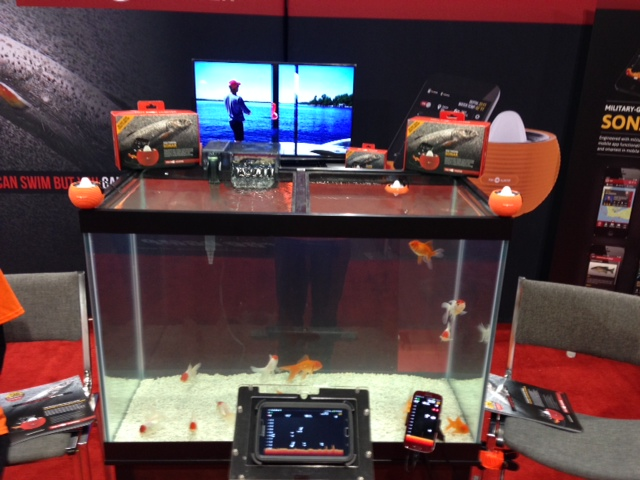 You can add your two cents to this discussion about portable fish finders on Ontario Outdoor Magazine. Or you can register and join in this discussion about FishHunter sonar fishfinders on Fishing Fury forums.